On Tuesday, there was a bad road accident in Gaza Province. Rumors of the crash began to circulate just after midnight on that same night, but it was morning before the truth was confirmed. The story, as I understand it, is as such: Peace Corps Volunteers Alden Landis, Lena Jenison, Mary Lager, Derek Roberts, and Mark Goldfarb hitched a ride with an individual in his personal vehicle. The driver and the five volunteers were then involved in a horrible accident wherein their vehicle overturned. Alden and Lena died that same night. Derek, Mary, and Mark survived but were evacuated to South Africa for treatment. WASHINGTON, D.C., December 21, 2011 – Peace Corps Director Aaron S. Williams is saddened to confirm the deaths of Peace Corps volunteers Elizabeth Alden Landis and Lena Jenison. 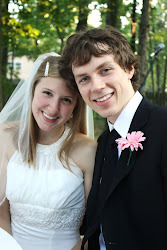 Alden, 23, and Lena, 22, died of injuries sustained in an automobile accident on Dec. 20, 2011 in Mozambique. “Alden and Lena were both committed and dedicated Peace Corps volunteers who were excited to teach in their new Peace Corps communities,” said Director Williams. “This is a tragic loss for the entire Peace Corps community, including their fellow volunteers in Mozambique. Our thoughts are with both of their families during this difficult time. Alden of Yarrow Point, Wash., and Lena of Hartland, Wis., arrived in Mozambique in September 2011 for pre-service training and were sworn in as Peace Corps volunteers on Dec. 8, 2011. They were scheduled to complete their service in December 2013. Alden served as an education volunteer and was recently assigned to teach chemistry at a rural secondary school with about 300 students. Prior to serving with the Peace Corps, she had worked as a tutor in Montpellier, France. Alden graduated from Boston University in 2010, where she majored in biochemistry-molecular biology and minored in French. She is survived by her parents, brother and two sisters in Washington..
Lena also served as an education volunteer and was assigned to teach biology at a local high school. 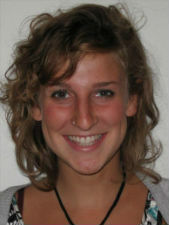 During her pre-service training, Lena lived with a host family and enjoyed learning the customs of her new community. After being sworn in as a volunteer, she moved to her community in southern Mozambique. 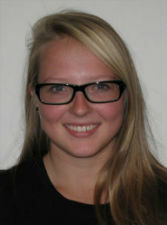 Lena graduated from the University of Wisconsin-Madison in 2011, where she majored in biology and Spanish. She is survived by her parents and a brother and sister in Wisconsin. This accident is painful and pertinent to all of the volunteers in our training group. We knew Alden and Lena very well. They were both very young, pretty, and funny. Lena had these crazy green glasses and long blonde hair. She kept a funny blog, called her “MozamBLOG.” I remember that one entry was entitled, “MozamBUGS in my MozamBED!” My favorite quote of hers was this, in discussing resiliency strategies: “It helps me to remember that somewhere, out there, is a posse who really, really likes me.” Her best friend in the Peace Corps was named Anna, and they had been stationed only three hours apart. Lena had been planning Anna’s wedding, which was set to take place in the summer of 2013. Alden had crazy, wavy blonde hair. She was effortlessly pretty and laughed a lot. Dan and I first talked to her in the airport in Philadelphia, while we were waiting for our plane. Her first name was Elizabeth, but she chose to go her middle name, Alden. “I’ve always liked it,” she said. “Alden. Like Walden, without the “W”.” When we had our Halloween party in Abby’s compound in late October, Alden was the first one to return to clean the house the following day. In the aftermath of the accident, volunteers are slowly beginning to assemble into groups. This is a hard week for the remaining volunteers in our country. Two of our original fifty volunteers are dead. Two more are in a hospital in South Africa. The fifth volunteer, from Moz 15, is still in critical condition with a head and spine injury. Between the mourning, the heat, and our distance from home, it doesn’t feel like Christmas at all. Even so, we are all together. As of last night, all eleven volunteers in the central province had safely gathered together in Catandica. We will be together until Christmas and then will travel to Chimoio for the memorial service on December 28th. I am so saddened by this incident. Just heartbroken. Hope both Lena and Alden rest in peace. Heartfelt condolences to both their families and to you all......their extended families. I am not involved in Peace Corp but I knew Alden. She was my student in the lab in Boston for one year, her senior year. She volunteered in our lab outside of her college curriculum. I remember her laugh and her voice so distinctly. She loved talking about helping others. It just made her so happy. She liked science too but her heart was not into it yet. She would rather talk about going abroad and Peace Corp than some PCR or cell culture experiment. I don't want to believe that she is gone.....that we will never hear her laughter again. Rest in peace sweet Alden! I hope you all find courage to face this tragedy. It is a difficult time for all of you especially because of the holidays. Just know that we all, infact all of humanity is grateful to people like you who leave the comforts of their life to make lives of others a little more comfortable. So sorry to hear about this, Lisa. Such a sad and tragic thing to happen. You and Dan be careful and safe over there! My name is Lisa Spencer. I am a 25-year-old Peace Corps Volunteer living in Portuguese-speaking Mozambique. My husband and I teach eighth-grade English and math, in addition to community computer classes. We live in a little yellow house surrounded by thirty neighbors, fifty chickens, twenty dogs, and a few pigs. We have a puppy named Bwino. Welcome to a world of bucket baths, outdoor markets, and gaping pit latrines. This is the Peace Corps Dream. The contents of this website are mine personally and do not reflect the any position of the US Government or Peace Corps.